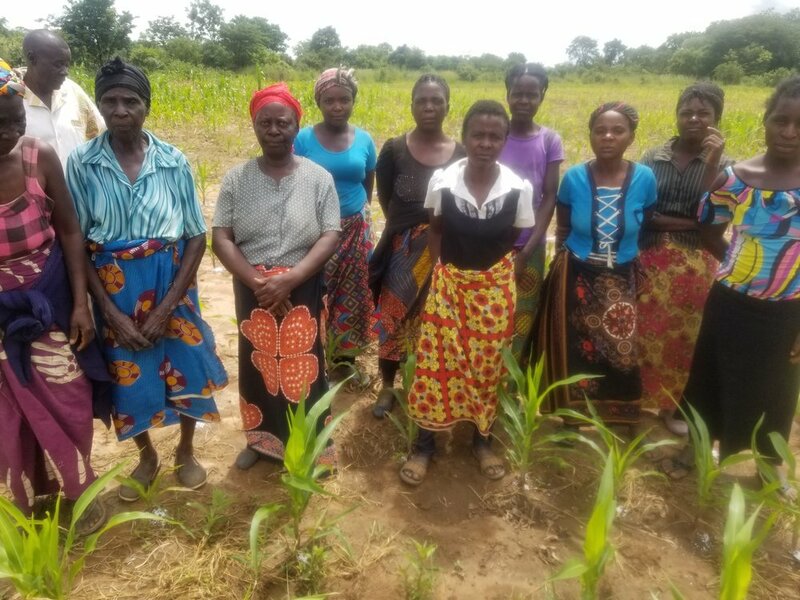 Sunshine Women Group, a well organized group that has worked tirelessly this season to plant maize for food consumption and market opportunities is now praying for hope. The drought that has hit Central Province in Zambia may have a huge toll on the livelihoods of these women. A group of 15 MEMBERS are hoping for the best that despite having no rains, they might see a miracle. Army worms are turf and crop feeders, which makes them a serious pest for many farmers particularly local indigenous women farmers in Zambia. Like most caterpillars, army worms have voracious appetites. Before they turn into moths, these worms can destroy a beautiful crops such as maize , one of Zambia's staple foods. With support from the United Methodist Church Globah Health, Nsugeni CBO will work with the Ministry of Agriculture to provide additional training to women farmers on how to mitigate the army worms that have once again been identified as a challenge for the 2017/2018 agriculture season . Click Here is the report for more information on the recent report of army worms in Zambia. 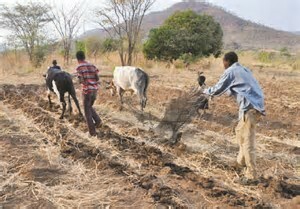 Nsugeni Community Based organization believes that Conservative Agriculture (CA) helps to improve soil management practices that minimize the disruption of the soil's structure, composition and natural formation. At our organization, we have seen that conservation farming has the potential to improve crop yields, while improving the long-term environmental and financial sustainability of farming. In doing so, during the month of July/August, (the beginning of the farming season) we conducted a series of training to local rural farmers on how to practice Conservation Farming. Mr. Constantine Mwape, a local farmer provided his skills on how to prepare the land. It is anticipated that 7 community farms will be initiated that will practice CA for improved food production in Mpima Scheme. 3. The role that community members can play in helping spread good health standards among families, children and farmers.